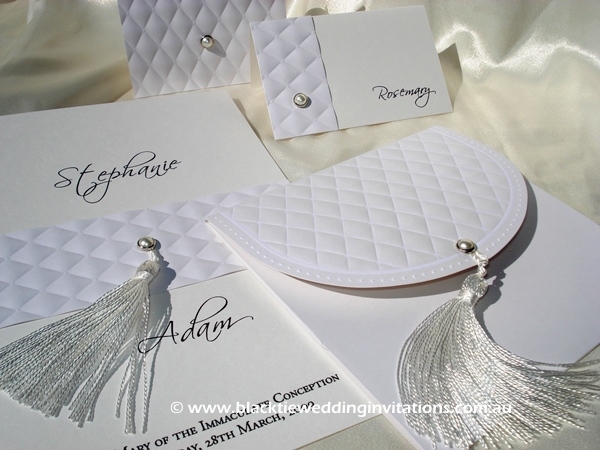 I just received our invitations – they are beautiful! I will definitely recommend your service to family and friends. It was a pleasure doing business with you. Our invitations arrived this morning and we are so happy with them. They are nicer than I anticipated. We both love them. Thank you so much for everything. You have been a great help. I can’t wait for people to see them. 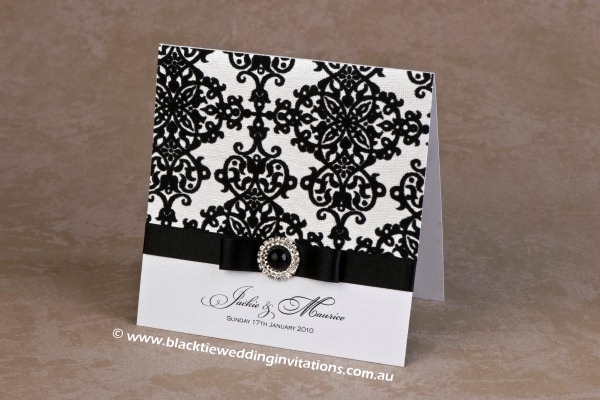 I would like to take the opportunity to thank Black Tie Wedding Invitations for their help with our wedding invitations. I was looking for something different and they are just fabulous. Despite us living in Dublin, Ireland, we encountered no problems. 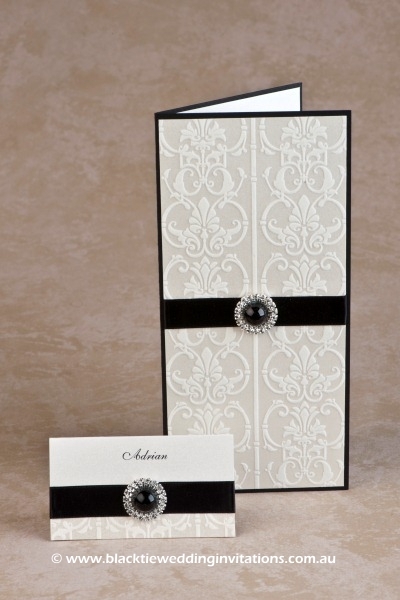 We highly recommend Black Tie Wedding Invitations. Thank you so much for everything you did with our wedding invitations. I will definitely be in touch for all stationery I require in future and have no hesitation recommending your service to family and friends. Firstly I wanted to take the time to thank you. Your craftsmanship, your professionalism and your assistance has been absolutely mind blowing. – they are absolutely stunning. The first piece of my wedding complete, it’s all starting to become reality now. I could honestly not fault any part of them. From the bottom of my heart I just wanted to say thank you. We just wanted to thank you for the invitations and table cards. They looked amazing and were exactly what we had hoped for. The feedback from the guests was wonderful. Some of the words used to describe them were “stunning”, “absolutely beautiful” and “gorgeous”. The invitations were processed and posted very quickly and the communication from you was outstanding.Without doubt you have been our favourite wedding supplier. Thanks again, we will be recommending you to everyone we know. We already have. 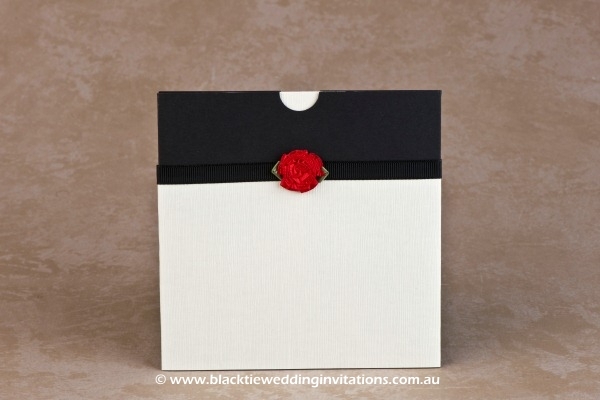 The invitations we received were very beautiful, simple and classy and we love them. You did a great job. Thank you so very very much once again. I just wanted to send you a quick note to say thank you again for the wonderful job you have done on our wedding invitations. The amount of compliments we have received on them has been outstanding. Also, a big thank you to you for making this part of the arrangements so easy and stress free for me, with a quality result to follow. 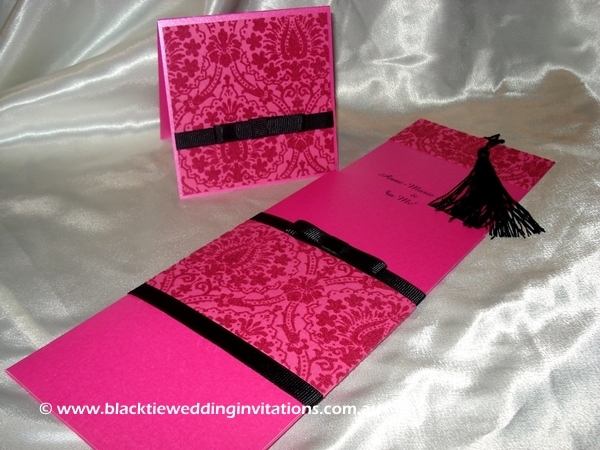 Mouhammed and I would like to thank you so much for our beautiful wedding invitations, and your great service. 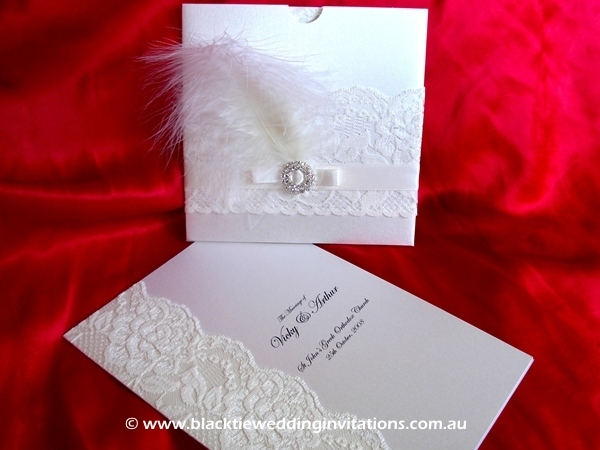 Every person who has received our invitation has remarked how beautiful they are and enquired as to where we got them. They are amazing. Every one loved my invitations. I thank you for your patience and once again for your fantastic service. I will have no hestitation to come back to you in the future. Many thanks. 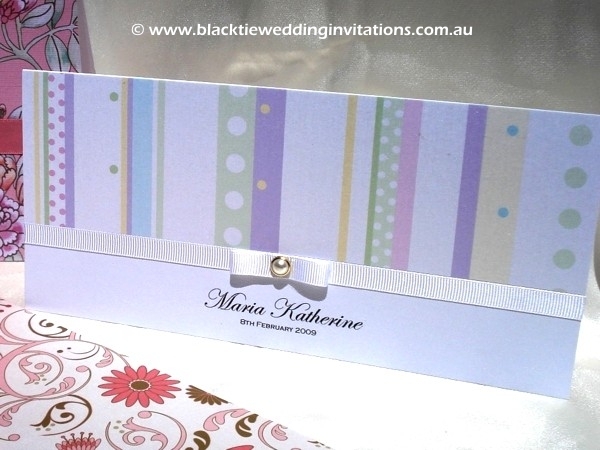 I would like to say thankyou for the exceptional and personal service that you offered while custom designing my daughter’s baptism invitations, starting from the beginning of the process until the final product. The invitations and bomboniere tags are very pretty and well crafted. I will recommend Black Tie Wedding Invitations to all my family and friends. Thanks again! 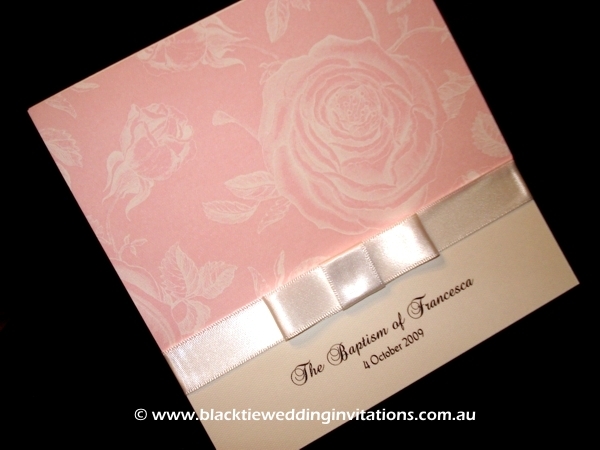 Thank-you for your very personal and diligent approach when putting together our beautiful engagement invitations. Your flexibility in the design of the invitations was greatly appreciated, as well as your commitment to detail in ensuring there were no errors or misprints in the final version. 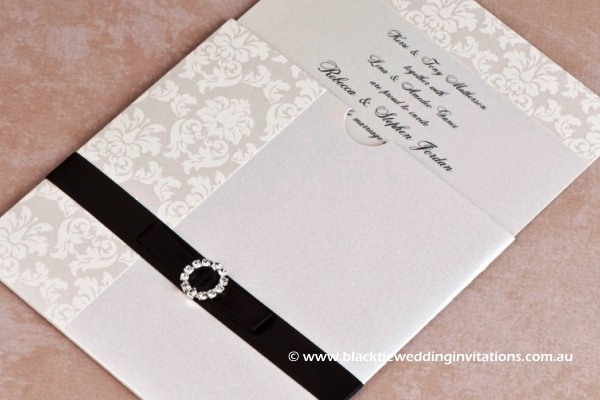 Our guests have started to receive their invitations in the mail and we have been overwhelmed with comments about how stunningly contemporary yet elegantly classic they are. Again, thank-you for making the process seamless and hassle-free for us during this busy yet exciting time!